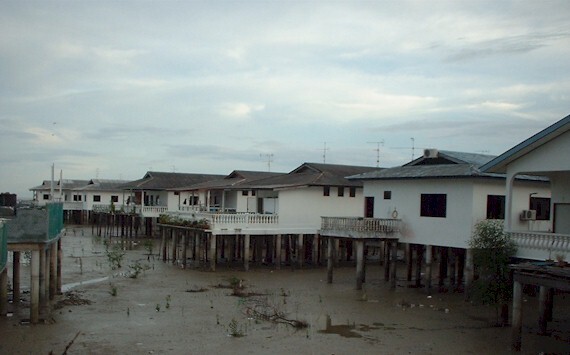 These are the famous and most popular Kukup Laut chalet houses which are seen from the rear. When the tide is low, the muddy seabed is clearly visible. But when the tide is high, the chalets look like floating on the sea. Cuttlefish are dried on fishing net under the sun. This special local variety one of the favourite of the tourist and can be sold at good price. Sundry provision goods are sold using a trolly cart. 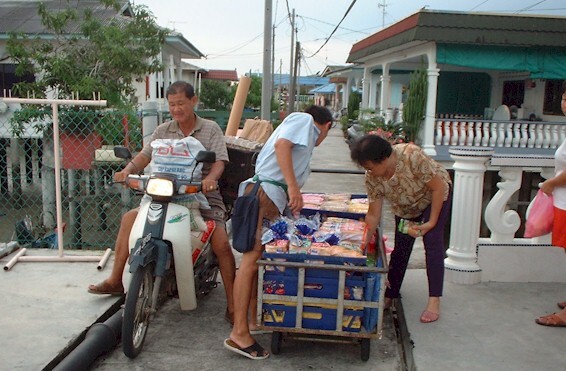 Normally other dairy provision are sent to each house using motorcycle. 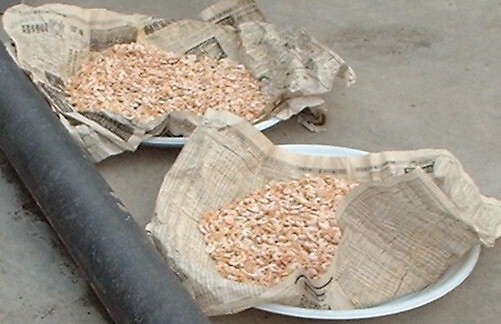 Dried shrimp is another local product and the tourists' favourite must-buy item. Fresh shrimp caught are dried under the sun.